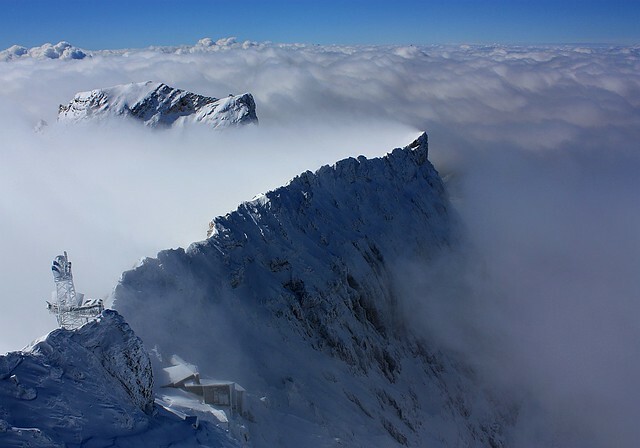 I wrote previously about hanging out at the “top of Germany” from the German side just after arrival at the Zugspitze summit. I wandered over to the Austrian side of the summit to have a look around for the view, which is about the time the clouds below started to clear. 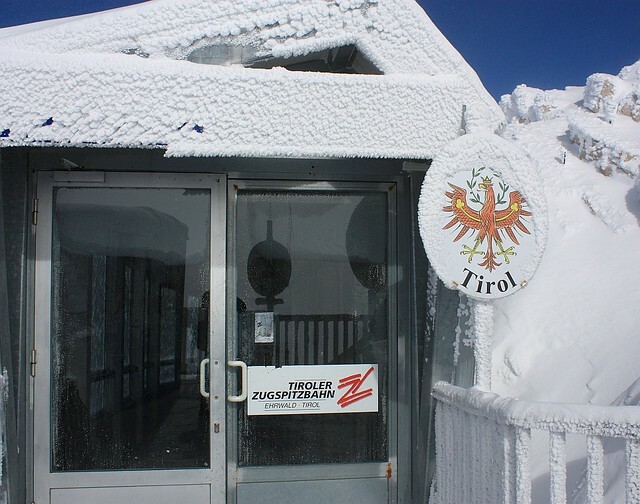 Former border-control entry point from Bavaria, Germany to Tirol, Austria. Looks cold, doesn’t it? 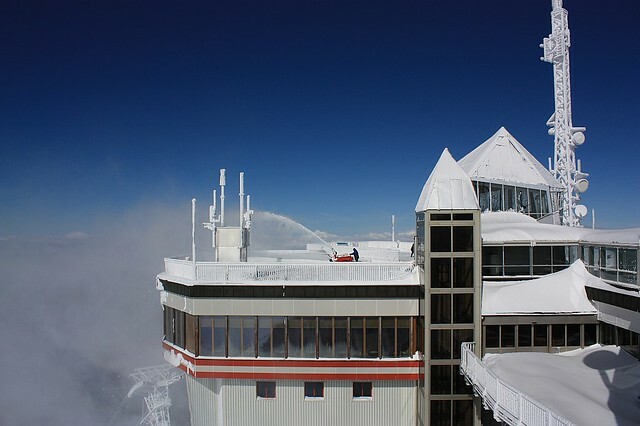 -12C (+10F) temperature at the summit, but -20C (-4F) with the windchill. At least the sun’s out. Bergstation (mountain station), Tiroler Zugspitzbahn. 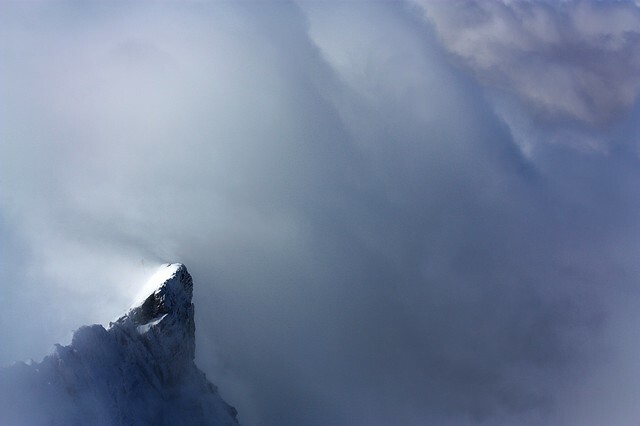 Partly obstructed view through blowing snow down to Schneefernerkopf (upper left), Zugspitzeck (centre). 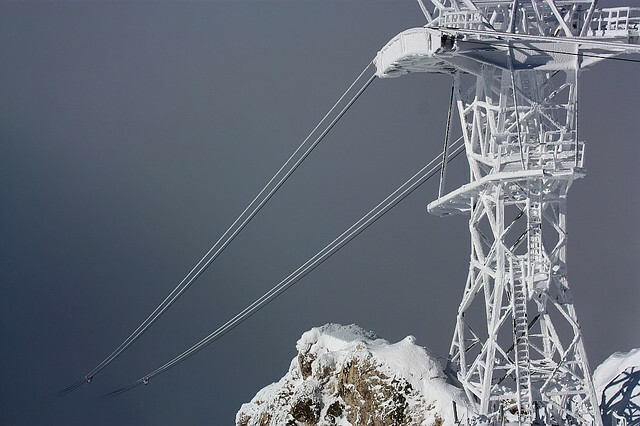 Zooming in on the ski-lift near the top of Schneefernerkopf. 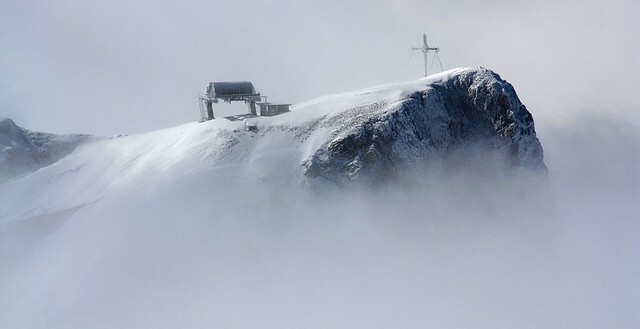 High winds and clouds surrounding Zugspitzeck. Bergstation (upper station), Tiroler Zugspitzbahn cable car. 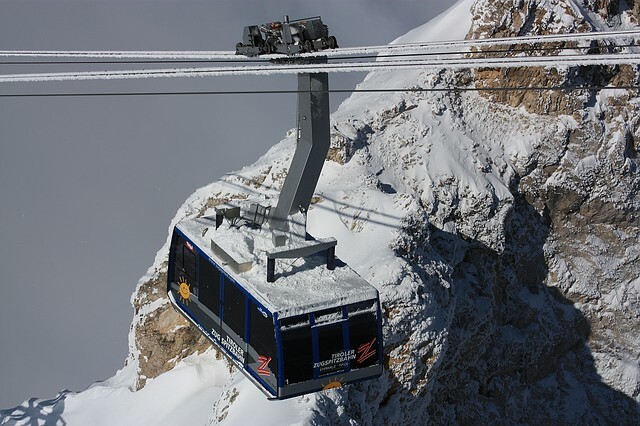 Arrival of Tiroler Zugspitzbahn cable car, Bergstation (upper station). Another great set of photos! Great pics from the Zugsptize! 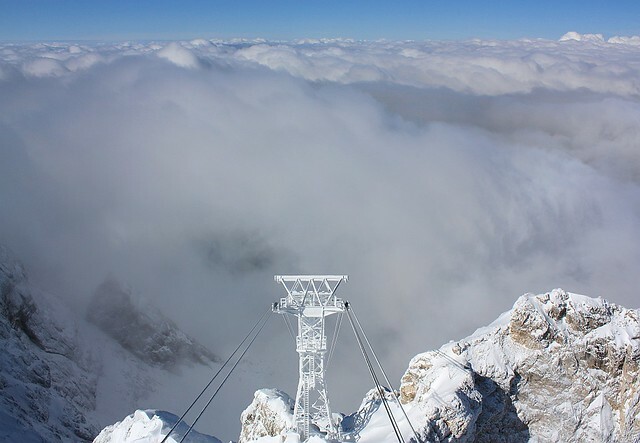 Did you go to Zugspitze by foot? Brrrr!! It looks so barren, but that definitely seems like part of the charm. I think the view would look and feel a lot “warmer” in the summer with blue skies above and green colours below. 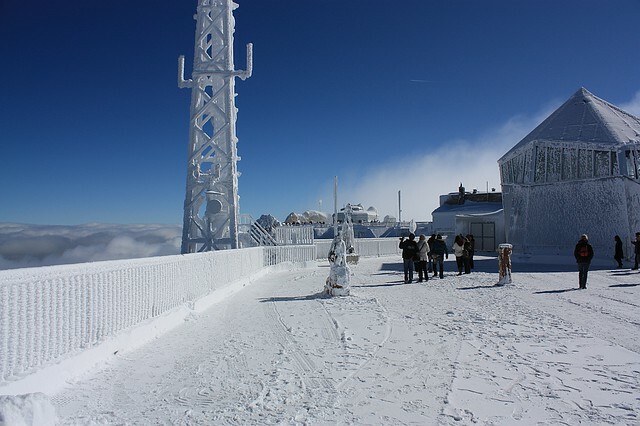 But on this visit, it was definitely cold (-12C) at the summit! Thank you! It was worth the trip up to the summit, cold and all. Given that early-October is still considered “summer season” in these parts, the early snow dump was a good reminder that the weather can be fickle. 🙂 As I write and judging by the webcam at the summit, a lot of snow has gone.